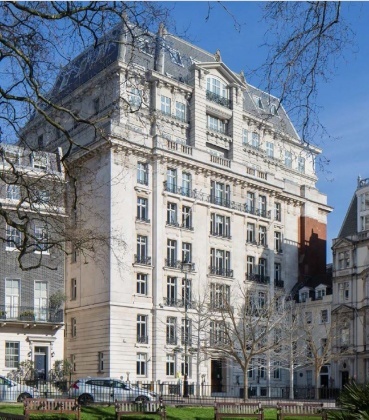 Berkeley Square is one of London’s most prestigious addresses, the jewel in Mayfair’s crown. Dating from 1906, this imposing building is the fine work of the architect Frank Verity. The original façade, with its Louis VI-inflected styling, conceals a superbly reimagined, modern office space of the highest quality, offering a total of c.56,000 sq ft. Whilst the building’s heritage has been carefully conserved, the interior space has been optimised for 21st century business with an equally contemporary aesthetic. This sensitive enhancement of the interior plan on all floors has resulted in an exemplary BREEAM rating, awarded for its optimal energy efficiency and sustainability. South facing and occupying the north east corner of the Square, Nº25 directly overlooks the gardens. Newly-built from the 6th floor upwards, the floors significantly augment the available space and allow for terraces with superb panoramic views. Current public realm enhancements to Berkeley Square allow for a number of improved streetscape works. Are you really want to add office: 25 Berkeley Square to your email alerts?